As promised, just like Dennis Hopper and Rolf Harris before me, I've bounced back with a bumper week of reviews. I'm no mathematician (in fact I have trouble even spelling mathematician), but by my calculations I've watched five times more films than I did last week. Stick that in your pipe and smoke it, Mr Pythagoras! However, with ten films to review, and only limited time in which to do it, I'm going to keep it short and sweet again this week. A Danish thriller which concerns the life and times of a student who takes a job as a nightwatchman in the city morgue in order to pay the bills. 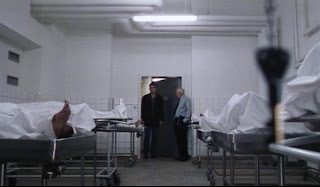 However, with a necrophiliac serial killer on the loose, his choice of employment proves to be rather questionable, to say the least, and he finds himself under suspicion for the crimes. 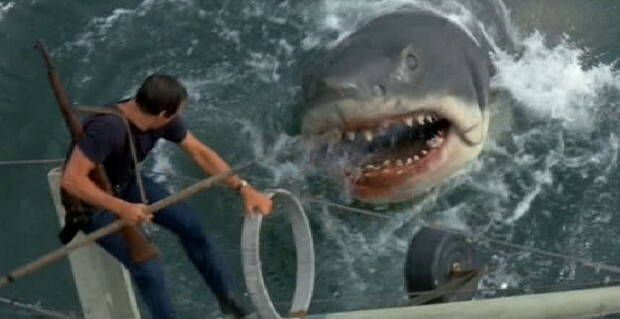 For me, this film didn't really work. It all felt a bit too self concious, with a number of characters saying things like 'this is like something from a bad movie'. You said it, fellas. Still, on the plus side, it does feature a young and rather lovely Sofie Grabol (more recently seen on TV in the UK in the Danish series 'The Killing'). Paul Andrew Williams followed up his terrific gangster picture, London to Brighton, with this rather less serious effort. It's another horror comedy (I seem to have seen quite a few of those in recent weeks), but I felt that it was a lot more impressive than Severance (for example). Reece Shearsmith and Andy Serkis play two bumbling and mismatched brothers, whose attempts to kidnap the daughter of a local gangster (an extremely foul mouthed Jennifer Ellison) are disastrous from the start. However, facing the wrath of a crime kingpin is the least of their worries - they have chosen to hold their hostage captive in a cottage near to an area of woodland in which a crazy, disfigured farmer is running amok. The film is half a comedic version of the Disappearance of Alice Creed, half Friday the 13th, and while neither completely successful as either a horror film or comedy, there are enough laughs and scares to leave you satisfied. As a minor quibble, the monster make up for the farmer is a little fake looking. 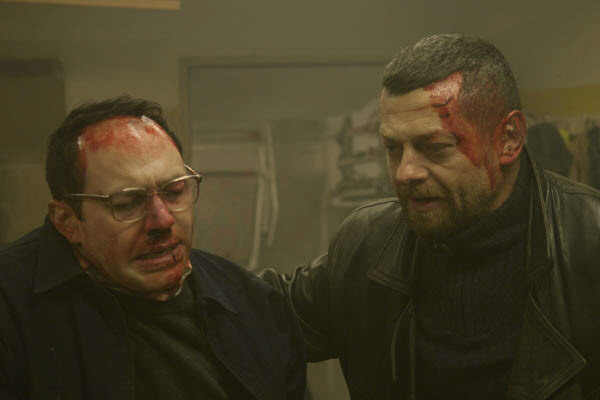 Still, solidly entertaining, with good performances from Shearsmith and Serkis. This was a film which I watched with a couple of other people, and was only half paying attention to, so not sure if I can really give it a fair shake. 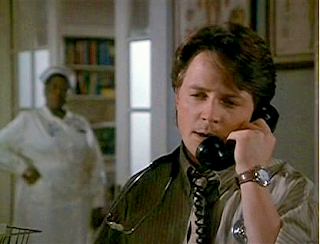 From what I saw, it all seemed pleasant enough... Michael J Fox plays an arrogant young doctor, en route to Los Angeles to become a high flying plastic surgeon. However, when his car comes off the road in a small South Carolina town full of loveable eccentrics, he's forced to do community service in the town and help the good townspeople out. It's all very predictable, but there are a few (small) chuckles here and there, and it's hard to dislike anything too much when Michael J. Fox is involved. Another film which I can't really do total justice to - in this instance, it was because the DVD I got through the post from LoveFiLM was pretty scratched. I had to skip through three or four films, so it was a bit tough to really get into this one. From what I saw of it, the film was pretty good. It tells the story of the strike by female Ford factory workers in 1968 which eventually led to the Equal Pay Act for women. 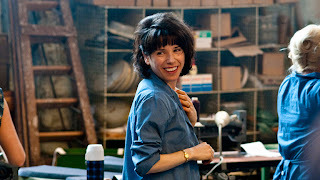 Although at times the script is a little heavy handed - some of the speeches from the characters feel more like a lecture from the screenwriter than something one of the workers would actually say - Sally Hawkins and Bob Hoskins transcend the material and put in particularly strong performances. Worth a watch. I shall return tomorrow with the remainder of the week's reviews. Watch this space, my friends!